His new paddock was originally designed for studs, so the black perimeter line represents white wooden board fence, and the orange represents three-strand electric that is tape for the top row and braided cord for the bottom two. There's a 3 strand gate, as well as a pipe gate, separating him from the outside world. 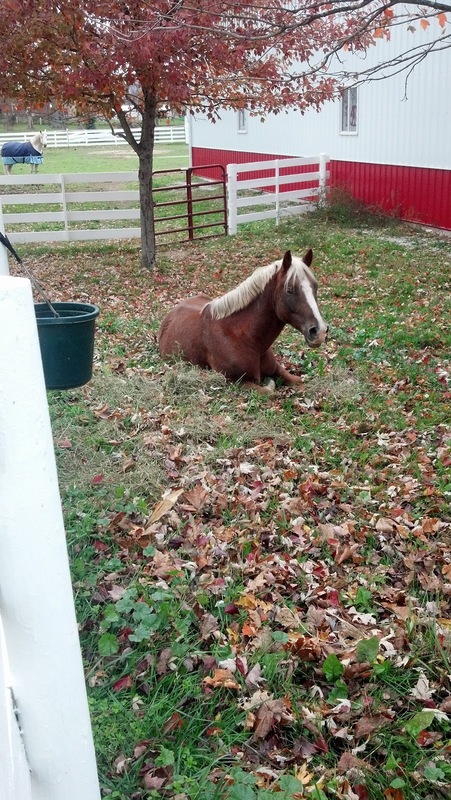 For some reason, his electric was unplugged last night, so he thought it would be a good idea to go for the dark green, luscious grass in the "no man's land" area between his paddock and his next door neighbor's pasture by going over the middle rope and below the top tape. So when I got there, I found him trapped in a 5 foot by 20 foot area, unable to get back out the way he came, and barely able to turn around. Awesome. He probably spent most of the night there, if I had to guess. 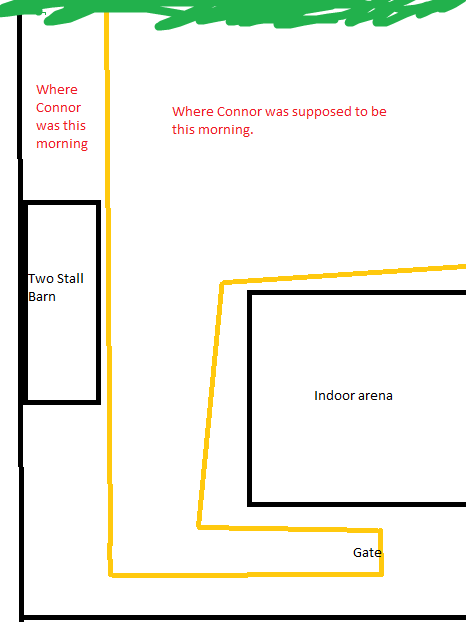 Thankfully, there's a pipe gate just to the left of the words "Where Connor was this morning" in the diagram, so I didn't have to cut fence to get him out.